Andrew Garner has helped fashion the make- up of Boardrooms across Europe, Asia and the USA. As CEO of what is now Norman Broadbent PLC and as Chairman and CEO of Boyden, his work at the highest echelons of the executive search industry has contributed greatly to the success of many international organisations at PLC board level. Andrew has appeared frequently in the media in the UK Australia and Hong Kong as a senior commentator on business and corporate culture themes. He takes a sharp ‘outside looking in’ approach to business innovation: “What does the market want from us, and how should we set about providing it? Andrew is an accomplished public speaker and outstanding leader in corporate innovation and culture, who enjoys strong relationships with significant business leaders. He is mentor to several globally high profile CEO’s, including four FTSE 100 companies and more recently high profile political figures. He is the inventor of modern theories of career development as taught at Harvard and leading business schools. His book ‘Smart Moves’ proved itself to be a pioneering and popular work on career management for high achieving executives and is soon to be revised and republished. After an early career in marketing, rising fast through the Mars Corporation and then director roles with Brooke Bond and Gallaher, Andrew joined executive search pioneers Boyden. As Chairman and CEO he helped the company expand into 40 countries. 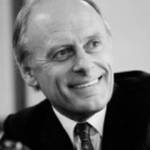 He then set up his own practice and subsequently purchased Norman Broadbent PLC, rebuilding its UK reputation and expanding its international footprint. Andrew is perhaps best known for the many top-level corporate appointments he has facilitated for UK FTSE 10 companies. Andrew’s company Thoroughbred provides the best techniques in board effectiveness, mentoring/coaching, career guidance and 100 day “on-boarding” in the USA, UK, Middle East and China. Andrew has a number of other prominent roles, including Honorary Visiting Fellow at Manchester Business School and non-executive director of The Royal Philharmonic Orchestra, where he helped the orchestra transform its business model. He is an accomplished amateur motor racing driver across Europe’s major circuits, driving his own famous historic Grand Prix and sports racing cars; he was awarded “Driver of the Meeting” at the first Goodwood Revival back in 1998 and more recently at the Grand Prix de L’Age in Dijon in 2010. In2005 Andrew was approached to reorganise the British Racing Drivers Club and separate out the management of the club from that of the Silverstone Circuit, and the development potential that sits around it. This brought about the separation and the organisational structure that we see today. The achievements of this new structure are well known and include a 17 year contract to host the British Grand Prix, the construction of a new pit and paddock complex, the Porsche Driving Centre and a number of new commercial buildings.